Enjoy one of the most detailed real estate searches in the Upstate! 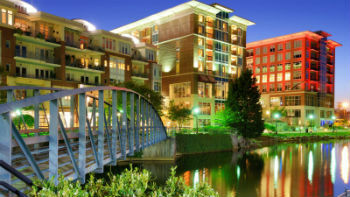 Welcome to your Greenville, SC real estate resource. Greenville, South Carolina homes for sale are a great investment whether you are purchasing your first home, second home or are a seasoned investor. Our team is familiar and experienced in serving Greenville and the many niche neighborhoods within it. In addition to this, we also serve a number of other communities in the Upstate. Browse through some of our featured Greenville SC MLS listings below, or read more about our realty services. Or if you prefer, call us directly at 864-520-1000. Whether you are selling your home or have just started looking at Greenville, SC homes for sale, it's important you’re informed. With RE/MAX Moves, the sale of your home is handled with care and professionalism. For more information about the selling process, please visit the home selling advice section or my page dedicated to how I market my listings and help my clients who are selling a home in Greenville SC. GreenvilleMOVES.com also seeks to help the consumer make an informed decision, by providing over 10 years of reliable data through the Greenville SC Real Estate Statistics page, which include average days on market, number of homes sold, average sale price, and listing distribution. This data was all obtained from the Greenville SC MLS. RE/MAX Moves strives to help buyers and sellers accomplish their real estate goals more efficiently, and we couldn't do that without the help of our knowledgeable agents. We work hard to help ensure our clients meet their real estate goals in an effective and timely manner. Learn more about our team here. We hope you find this site useful and look forward to hearing from you! Please let us know whatever we can do to help you accomplish your real estate goals. Are you ready to start your real estate search but not sure where to begin? Contact RE/MAX Moves and let the experts assist you with all of your Greenville real estate needs.